Every year, for many homes and even commercial centers, it seems that Christmas decorations start appearing a little bit earlier, Christmas music are starting to play even before Thanksgiving. Many people even decorate their Christmas tree the weekend after Thanksgiving. Though the question about when the proper time to put up your Christmas tree is irrelevant, what matters most is that we know why we celebrate Christmas season. For this reason, we make every decorations and merry-making truly meaningful because we know that if Jesus had not been born, we wouldn't have this bounty, peace and joy. With all that, we can say that, indeed, the season of merrymaking is upon us. Thus, let me share you one destination that pays tribute to the most wonderful time of the year in a truly grand fashion. Resorts World Manila (RWM), the country’s pioneering integrated resort, is putting together to launch Grand Fiesta 2014—the biggest and longest annual yuletide celebration in the land since its debut in 2010. They have been doing this for five years in a row now. This year, Grand Fiesta 2014 adopts the Festival of Stars theme, with one of the biggest indoor parols serving as a symbol of light and hope for Filipinos during the Christmas season. 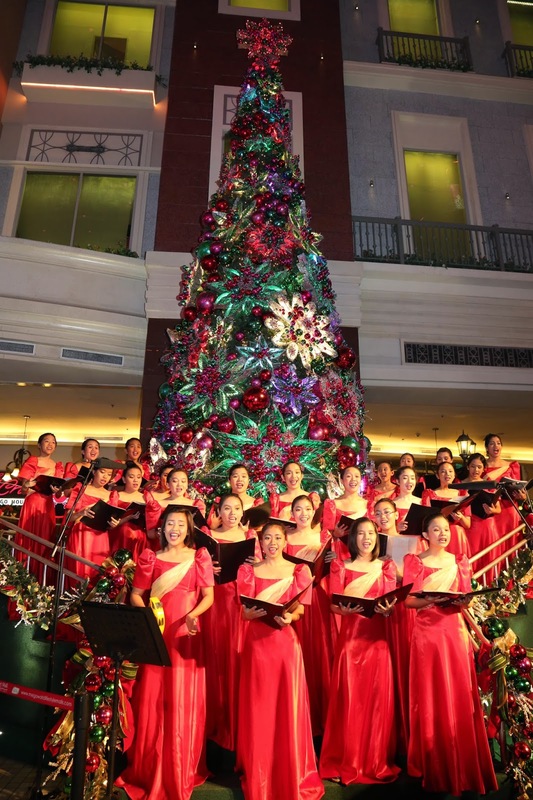 The launch of Grand Fiesta 2014 will take place on Friday, November 14 with a massive Christmas Tree and giant parol lighting ceremony at The Plaza in Newport Mall. Running almost two months long until January 1, 2015, Grand Fiesta promises a slew of exciting offers and thrilling events the whole family can enjoy. Concerts, food extravaganzas, shows, and movie premieres are just a taste of what will be on offer in the days leading up to Christmas and the New Year. Just like in previous years, Grand Fiesta culminates with a rocking, free of charge New Year’s Eve countdown party at The Plaza in Newport Mall featuring some of the top bands and solo artists in the country today.